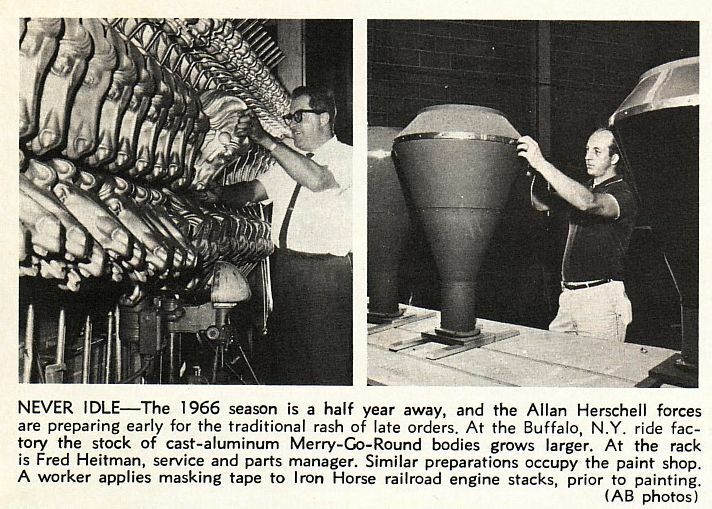 A Brief History of the Allan Herschell S-24 "Iron Horse"
In 1960, the Chance Manufacturing Company began marketing its new C.P. Huntington train. Available in 20 or 24 inch gauge, the new train was wider, more powerful and could carry significantly more passengers per trip than the S-16. Just as importantly, the engine and tender were almost five feet shorter than the S-16 and they would fit within most existing engine houses and handle a modest 50 foot radius curve to boot. The new train sparked considerable interest at the NAAPPB convention in Chicago that year. 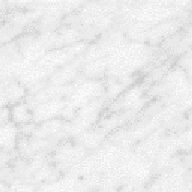 The first C.P. Huntington (CPH) was sold to Joyland Park in Wichita, Kansas in 1961 and within two years the new train and 24 inch gauge had a strong foothold in the park train community. 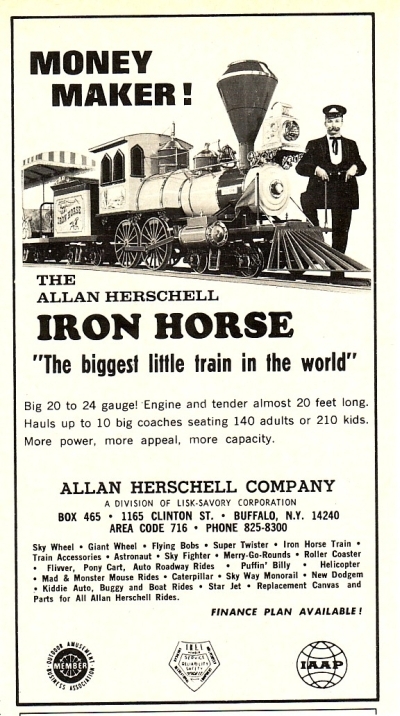 In response to the popularity of the new CPH, the Allan Herschell Company designed the S-24 "Iron Horse". The big brother of the popular S-16, there were many similarities. Like the S-16, the drive wheels were not powered but rolled on the rails, fake rods reciprocated in and out of would-be cylinders and smoke poured from the smokestack on demand as fluid was injected into the hot exhaust. Unlike the S-16 which had its engine in the locomotive and its controls in the coupled tender which followed, the "Iron Horse" tender and locomotive were actually one unit and relied on a creative paint scheme to give the illusion of a tender following the locomotive. The power plant was in the rear surrounded by the tender sheet metal which was removed to access the engine for servicing. Another significant change from the original S-16 design was the addition of a great deal of ornate and highly polished brass and several options of colorful paint schemes. The coaches, all the surrey style so popular with S-16 fans, where slightly wider, longer and taller than those of the S-16 and more comfortable for adults.. The CPH and Iron Horse trains were similar in that they were designed primarily for 24 inch gauge and had an emphasis on carrying a larger number of passengers per trip than prior park trains, passenger comfort (room for adults) and ease to load and unload (more trips per day). The CPH and S-24 coaches were both colorfully painted, had canopies to protect riders from the sun, were 17 feet long and carried 14 adults. The CPH coaches were slightly wider (48" to 40"), taller 78" to 72" and heavier 2580 lbs. to 2200 lbs. Conversely, the Iron Horse locomotive dwarfed the CPH. 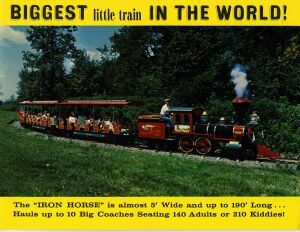 The Iron Horse was 3' 2" longer (18'2" to 15 ft.), 8 inches taller (80" to 72") and 10 inches wider (56" to 46") than the C.P. Huntington. Depending on the year of manufacture (and thus power plant) it also weighed up to 655 pounds more (6600 lbs to 5945 lbs.) than its counterpart. Another notable difference in the appearance of the Iron Horse, which took characteristics from many 1870's vintage locomotives, and the CPH, which was loosely patterned after the original C.P. Huntington engine resident in the California State Railroad Museum in Sacramento, was the number of false drive wheels - 2 on each side for the Iron Horse and 1 on each side for the CPH. 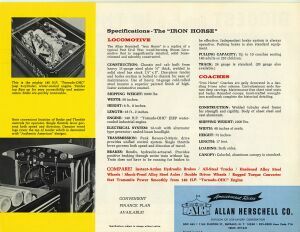 The first Iron Horse was shipped to the Lakeside Swimming Club in Salem, VA on April 27,1963 and the competition with the CPH was on. The Iron Horse S-24 competed very well against the C.P. Huntington of Chance Manufacturing. During the 8 years of overlapping production of the Iron Horse and the CPH, 49 S-24s and 62 CPHs were sold. During the last five years of competition (1966 - 1970) it was almost a dead heat with 28 S-24s and 30 CPH being sold. 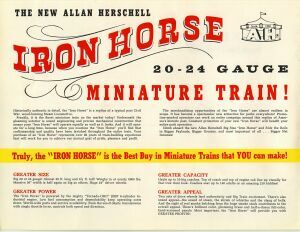 In February of 1963, the Iron Horse was offered in 20 or 24 inch gauge and the locomotive and three coaches sold for $21,200. It appears all units constructed were built to 24 inch gauge. 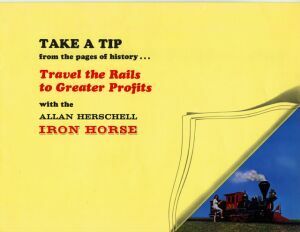 A total of 49 Iron Horse trains were produced at the Allan Herschell plant which by this time had relocated from North Tonawanda to Buffalo, NY. Like the S-16, the trains were popular not only in this country, but overseas as well. Sales were made to parks in Toronto, Canada, San Paulo, Brazil, Barcelona, Spain and Tokyo, Japan. The brisk competition with the CPH ended in mid-year 1970, however, when Chance Manufacturing announced it had reached an agreement with the Lisk-Savory Corporation, the parent company of the Allan Herschell Company, to buy the Allan Herschell name, inventory, patents, designs and tooling effective October 1 of that year. The last S-24 was shipped on September 29, 1970. 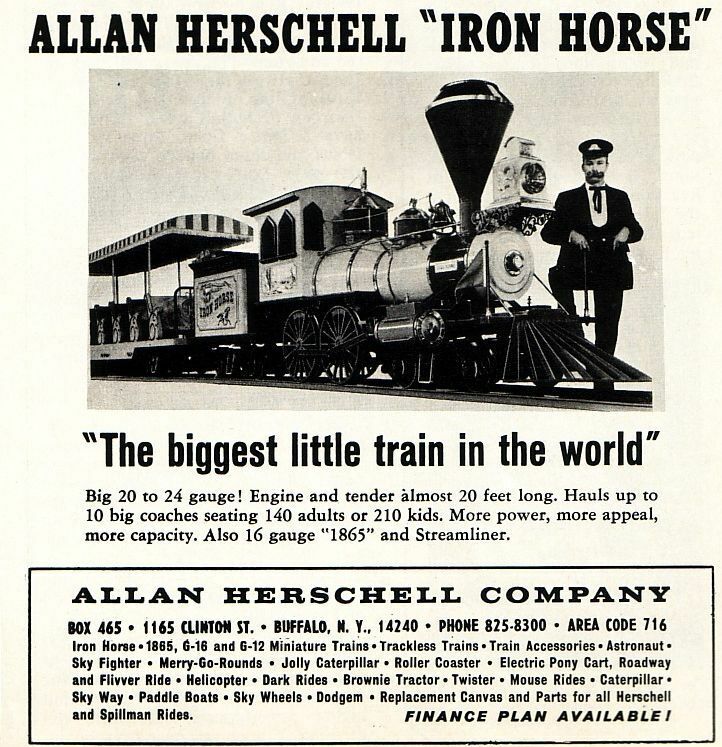 Chance Manufacturing produced replacement parts for the Iron Horse and the 1865 model trains, but the manufacture of those trains ceased with their acquisition by Chance in 1970. Although the Iron Horse and CPH carried the same number of passengers, sold for similar amounts and each had excellent service records - the CPH was slightly smaller and less expensive to produce. After Chance purchased the Allan Herschell assets in 1970, it didn't make business sense to produce two competing trains; the competition of the CPH had been effectively eliminated. In the Summer of 1998, Chance Manufacturing celebrated the sale of the 300th CPH at its factory in Wichita, KS. It has become the park standard throughout the United States and much of the world with 8 - 12 units sold annually. The design has been manufactured continuously for more than forty years with few substantive changes other than the power plant and some electronics and dominates the park, zoo and theme park train markets. With only 41 and 49 trains produced respectively, the S-16 and S-24 trains of the Allan Herschell Company can't compete with the CPH in terms of pure numbers sold, but they do have staying power. 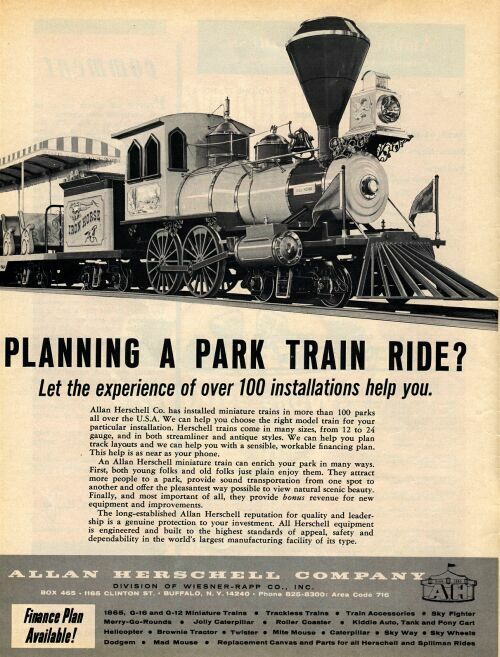 Impassioned private owners have purchased, rebuilt and restored many of the 90 locomotives built by the Allan Herschell Company and beautiful examples of restored S-16 "1865 model" and S-24 "Iron Horse" trains still exist today both in private collections and a handful of parks across this country and internationally.